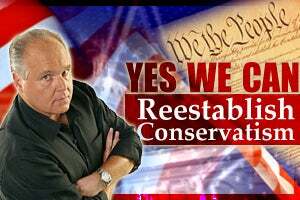 RUSH: Advertising on the Rush Limbaugh program works. As you know, the Justice Brothers are one of our clients. The LA Times says that Paris Hilton will now end up serving more time behind bars than the vast majority of inmates sent to the LA county jail for similar offenses. Whether Hilton received special treatment from the sheriff’s department’s become the subject of a bunch of debate out there, and this led to a meeting between the Reverend Al Sharpton, one of the two Justice Brothers, with the sheriff. The judge sent her back to jail last Friday, Hilton’s attorney announced that she would serve the full 23 days. That means that Paris Hilton will send up serving more time than 80% of other people in similar situations. Advertising. This is what Sharpton wanted. The Justice Brothers got action because of advertising on this program. They deserve a bonus airing of their commercial, our latest commercial.